The curse of the Wyvern lay like a pestilence upon the people of Coed-y-Moch. The monster hunted human being and beast alike, destroyed every living creature which it caught. Neither strength nor cunning availed against it, until there came one Meredydd, a youth renowned for his prowess. In a coat of steel, and armed with an axe that men said had fallen from Heaven, he set forth on his quest. He found the Wyvern asleep beside a hedge of white hawthorn, drugged by the sweet scent. 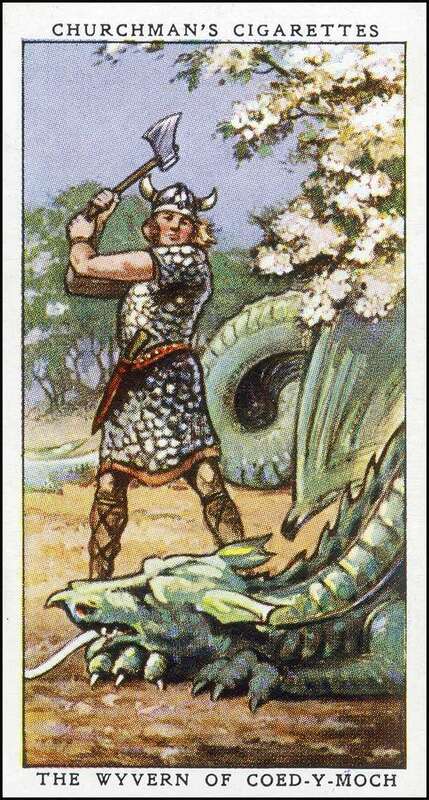 Meredydd gripped his axe and struck as he had never struck before – and the Wyvern’s head rolled at his feet. 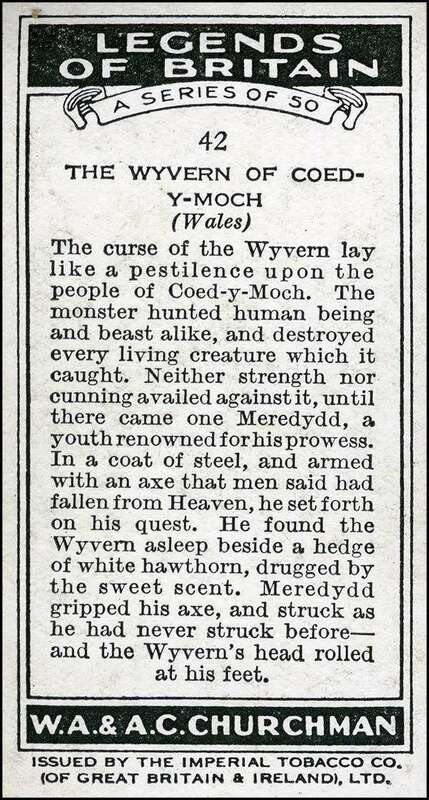 This is a scan of an old cigarette card published in 1936 which tells the story of “The Wyvern of Coed-y-Moch”. 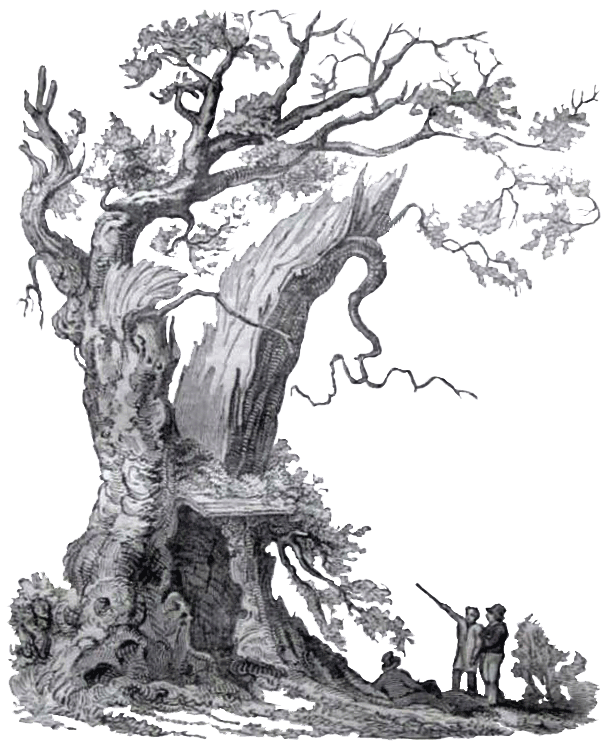 While there is nothing in this story that mentions Nannau, it seems to be based on the old Welsh folk tale of “Gwiber Coed-y-Moch”. I cannot find any English version of this tale, but I have attached a copy of the Welsh version (below) which was kindly sent to me via Facebook (details here). The Welsh text mentions Nannau, Coed-y-Moch, Ceubren yr Ellyll, Llyn Cynwch & Moel Offrwm, so has definite connections with the area. The snake was said to have been killed by the side of Llyn Cynwch. …It has also scared generations of local schoolchildren!